I was originally planning to go with the Fractal Design Nano S, however considering that the Nano S is a little old, and the looks didn't totally convince me I decided to spend a little more to get this beauty. Really good case, and has good airflow options, along with an included RGB led strip, a smart device (that does not have a very optimized software, but after a little tinkering it can be quite useful) that lets you plug up to three fans, a fan splitter that lets you connect up to three fans to one header, and finally two AER 120mm case fans that work very nicely and are pretty quiet. My must-haves when looking for a case for my build was to be as small as possible while aesthetically pleasing. 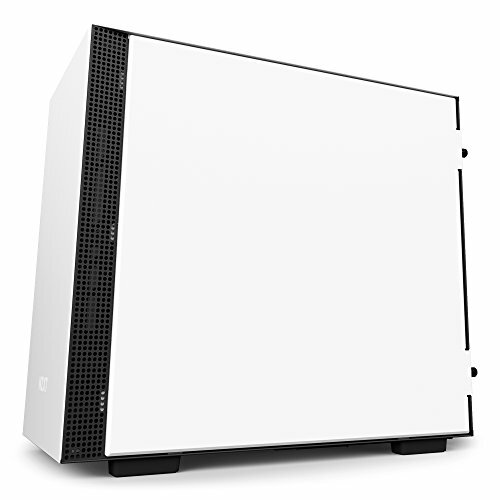 After looking at completed builds here, I noticed the H200i series and fell in love. I knew I had to have it, disregarding the cost of it. 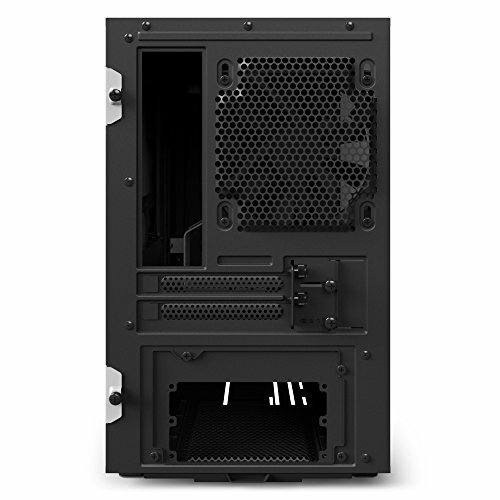 I have to say building a PC with an ITX case can be difficult. As you can see from the pictures, space is very limited which makes causes some frustration. But in the end it was all so worth it. The CAM software isn't so terrible but I REALLY dislike that they recommend you register with them. There is a guest mode which is what I used but it still sends data over to them. I wouldn't mind if they have it as an option to disable this but there isn't any option to do so. So I decided to run my case fans off the motherboard. Luckily once you configure your RGB LED strip you no longer need to have the software running again unless you decide to change the RGB LED configurations. However if you choose to use the smart device to control your system fans, you will need to have the software running at all times. Aesthetically pleasing! 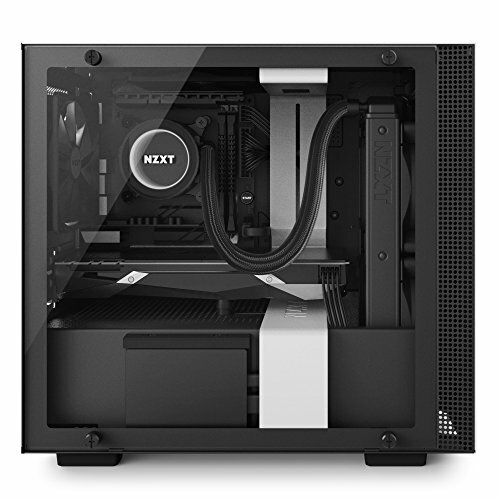 I love the tempered glass and color scheme of this case. Excellent airflow considering the size of this case. Smart Device acting as a fan hub. This is much needed in a itx case as you may run out of fan headers from the motherboard. Beautiful case, comes with RGB strip and noise sensing fan controller. Easy to build in although took me a while to figure out how to take off front panel. 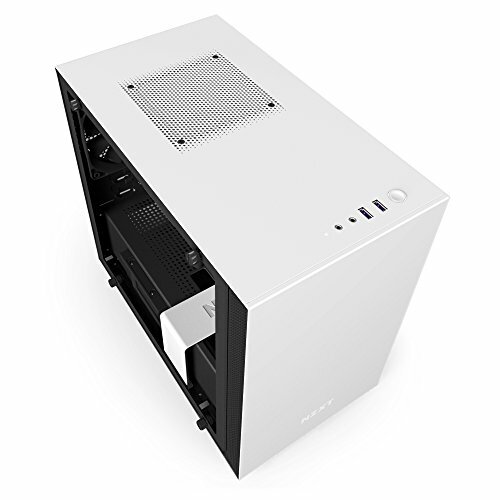 Case(fans): love the looks of the H200i. Clean looks and more space for the cablemanagement then i thought is given. replaced the original fans with the af 120's and put em in the front. Fantastic case for a first-time builder - easy cable management, love the CAM software (unsure why so much hate). Sure it is a little buggy, but can be easily debugged via reinstalling the usb device on device manager. Trust me, this is not a big deal compared to what others have. 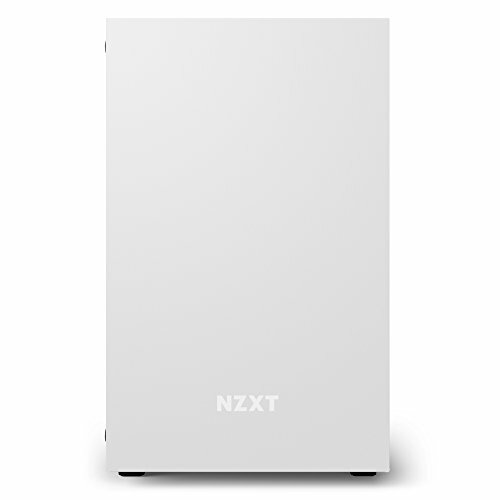 If anything, I would very much appreciate if NZXT could add a diffuser to the LED strips: it can look a little tacky at certain angles because the reflections can show the individual LED bulbs.